Marine workers unions have reacted angrily to a conditional offer to pay wage arrears to seamen on a cargo ship. The charterer, Norfolk Lines, told crew on the Merchant Brilliant today that the money was available - if they agreed to sail the ship back to Belfast. SIPTU General President Jack O’Connor described the situation as a disgrace, saying it was further evidence of the need for proper controls in the maritime industry. 11 crew members wish to leave the ship and return home. The remaining seven have indicated that they do not wish to be paid off. Efforts to arrange flights for the men who wish to leave the ship, the Merchant Brilliant, were under way today until the conditional nature of the offer became clear. The International Transport Workers' Federation had planned to apply to the Admiralty Marshall in England to have the ship arrested. 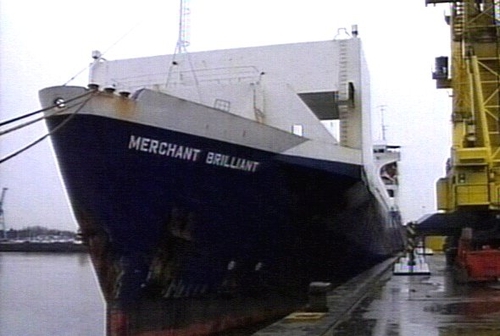 The Merchant Brilliant has been moored 5km off Heysham since shortly after 8pm yesterday, and the crew were barricaded into a section of the vessel with two ITF inspectors. It had been sailed from Belfast under protest by the crew, whose union says they were promised payment in Heysham. The ship was previously the subject of action by the ITF against the managers, ADG Shipmanagement, a St Petersburg based company, in Dublin Port. Norfolk Lines had chartered the vessel for its Ro-Ro freight service. The ITF says the crew are owed €150,000 in arrears. On arrival in Heysham yesterday Norfolk Lines took the ship off charter and the Harbour Master insisted it leave port to make way for other vessels. 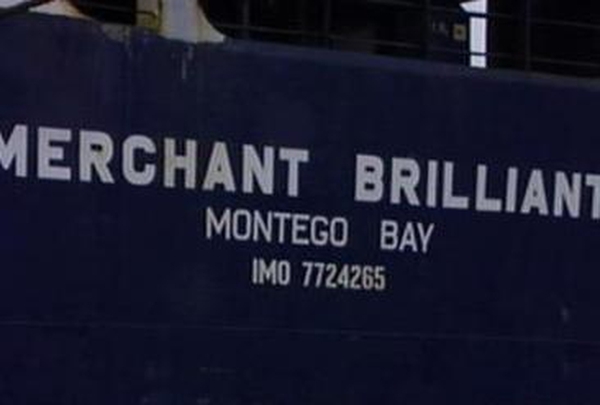 Last December the Merchant Brilliant was detained in Dublin port by the Admiralty Court, a division of the High Court, for refusing to pay the crew similar amounts due in arrears. The money was eventually paid to the crew by ADG Shipmanagement, in order to have the vessel released. Some of the crew later claimed they were forced to hand back the arrears. The ship was then switched to the Belfast-Heysham run. The new discrepancies were uncovered during an ITF inspection in Belfast on Sunday. Another ADG Shipmanagement vessel, the Merchant Bravery, was found to be in similar breaches of ITF agreements in November. It no longer operates on the Irish Sea.